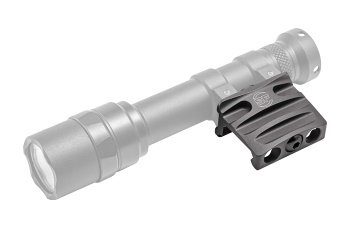 The SureFire RM45 off-set mount, designed specifically for Scout Light® models equipped with a thumbscrew clamp, positions the light in the off-set position between the rails of a MIL-STD-1913 (Picatinny) forend, decreasing overall weapon profile and limiting potential snag factor. The robust RM45 is constructed of lightweight but strong aerospace aluminum that’s hard anodized with a Mil-Spec Type III finish—so it’s extremely durable and resists corrosion while adding very little weight to your weapon. 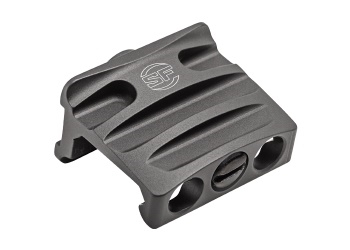 Make your already low-profile Scout Light even more streamlined by using this innovative, one-of-kind mount.